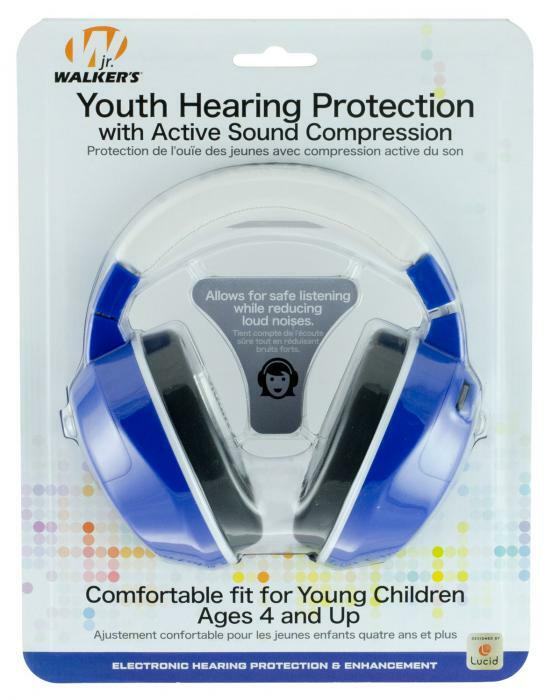 Walker's Youth Active electronic ear muffs are specifically designed to provide comfortable and effective hearing protection. It utilizes a comfort headband, sound activated compression, single mic amplification, and has a NRR 22 dB. Included is a 3.5mm jack cable and two (2) AAA batteries. This model has a Royal blue finish.